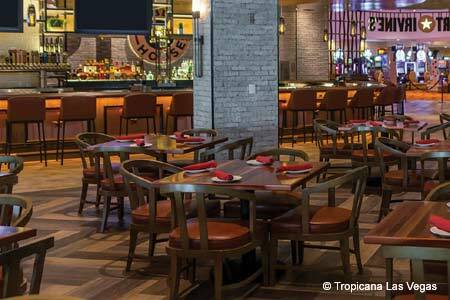 Frankie's Tiki Room serves up potent Polynesian-style cocktails 24 hours a day. 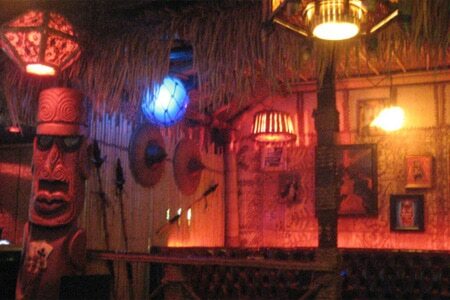 : Just like the casinos in Las Vegas, Frankie's Tiki Room is open 24 hours a day. Nearly every square inch of the walls and ceiling in this small space are decorated with bamboo, thatch, tapa cloth and vivid tropical paintings. Glass fish floats and pufferfish lanterns give off a colorful glow. No food is served here, just a roster of Polynesian-style cocktails served in ceramic mugs that guests can take home as souvenirs for an additional cost. The Tiki Bandit is a potent concoction of rums, pineapple juice, passion fruit syrup and blue curacao.